Since I could not attend the open house of the new Animal shelter, Susan at the Feed barn invited me to be at the Feed Barn Open house. I will be selling my glass pendants, bracelets and earrings at the FEED BARN, on May 25th from 10 am to 2 pm. 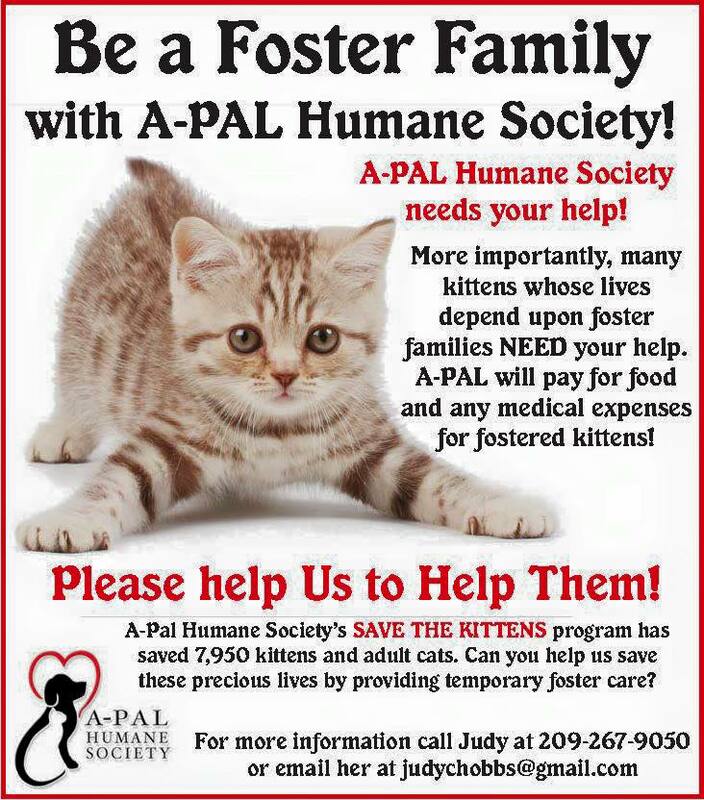 25% of my profit will go directly to APAL. The glass pendants come with a silver ball chain. You can also pre-order these. $10 each. The bails are very high quality Aanraku bails. I will also have my earrings there. Below are examples of the glass pendants: If you want a special dog or cat mentioned, I need to know so I can make it up for you. 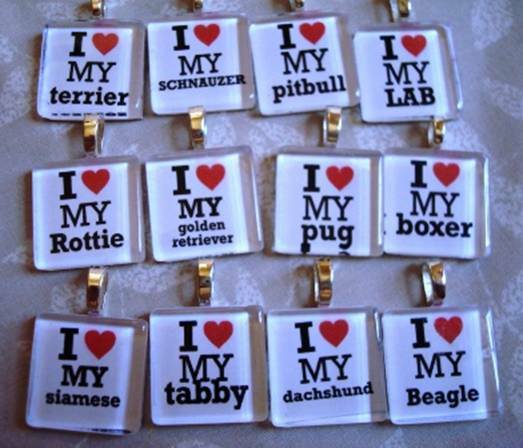 You can also special order your dog or cat’s picture on these. Just send me a close up of the animal and I will put their picture on the pendant. See you at the FEED BARN. Please pass the word along! Amador and Calaveras County —The Arc of Amador and Calaveras will be hosting the 25 welcoming picnic for the inspiring Journey of Hope cyclists. The Journey of Hope is a program of Push America, the national philanthropy of Pi Kappa Phi Fraternity, which raises money and awareness for people with disabilities. The Journey of Hope teams consists of men from Pi Kappa Phi chapters across the country. The teams cycle an average of 75 miles per day, beginning in San Francisco and ending in Washington, D.C.
Calaveras to participate and get involved in supporting our residents with disabilities”. The Arc of Amador and Calaveras will hold Amador’s 25 complex in Jackson between 11:00am and 2:30pm. The ceremony is to celebrate the team’s arrival as they enter Amador County to support The Arc of Amador and Calaveras and our community. Hundreds of family and friends will be there to welcome the cyclists. The event is free and the public is encouraged to attend. In 1987, one man’s dream of riding his bike across the country came true. What he did not know was the inspiration and motivation his trek across America would give to Push America. The very next year his ride inspired Push America to create the largest fraternal fundraising and awareness event of its kind, the Journey of Hope. Today the Journey of Hope covers 32 different states, cycling over 12,000 miles combined. It is solely comprised of members of Pi Kappa Phi and continues to spread a message of acceptance and understanding for people with disabilities. Pi Kappa Phi is the only national men’s fraternity to establish and maintain their own service project. Fraternity members have raised over 10 million dollars for Push America since 1977. Information about the Journey of Hope and the many accomplishments of Push America can be found at www.pushamerica.org. For the team of over 70 cyclists, the real journey will not be on a bike, but spending time with the Amador and Calaveras residents for whom they are riding. The Journey of Hope team members will spend the afternoon supporting people with and creating new friendships. These men are striving for community inclusion of people with disabilities and are helping to break the barriers of society that keep people of all abilities from living life to the fullest. Also running Junior, Novice & Seniors for $25! Lots of food and excitement. 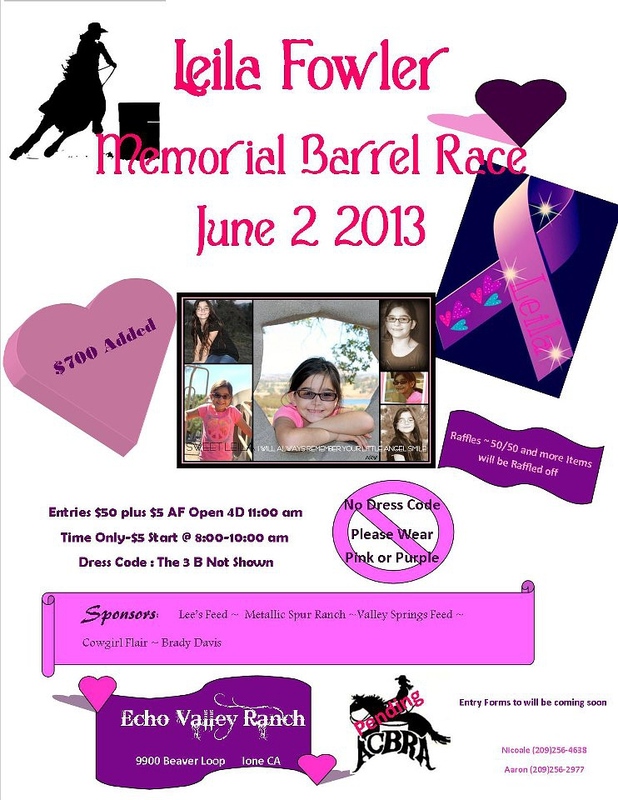 Even if you do not own a horse, ride a horse please come on out and support the family! Facebook Event Page for Leila Fowler. Join in and let us know how many to expect. Please share this with anyone that you think would like to come and support the family.